…in fact, I don’t even think they’re paying me! Look innocent enough? Well, using “technology” I’ll just zoomifinate in on his face. What do we come up with? Now it seems that Matt Cerrone (owner and editor of Metsblog, an excellent site for all things Mets) has not only met Mr. Franco, but is going to interview him. It’s only a matter of time before Giuseppe replaces Mr. Met as team mascot. I blame Heilman for all of this. Thanks! 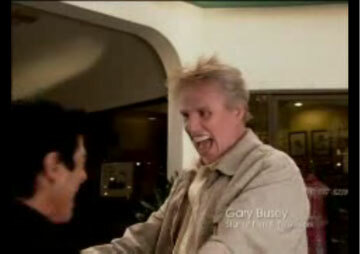 Now I’ll have nightmares about the dead hell hound AND vampire Busey. Just add Giuseppe to the long list of Francos associated with the Mets (John, Matt, Julio, James). OK… the last one is associated with Spiderman, not the Mets. 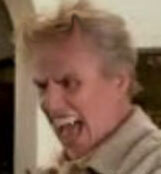 Did you hover over the image of Vampire Busey? There’s a little shout out to your decomposing beach friend.